Pokhara is a very popular destination for those traveling in Nepal. Its layed back charm and activity packed profile has drawn many tourists from busy Kathmandu to Pokhara. 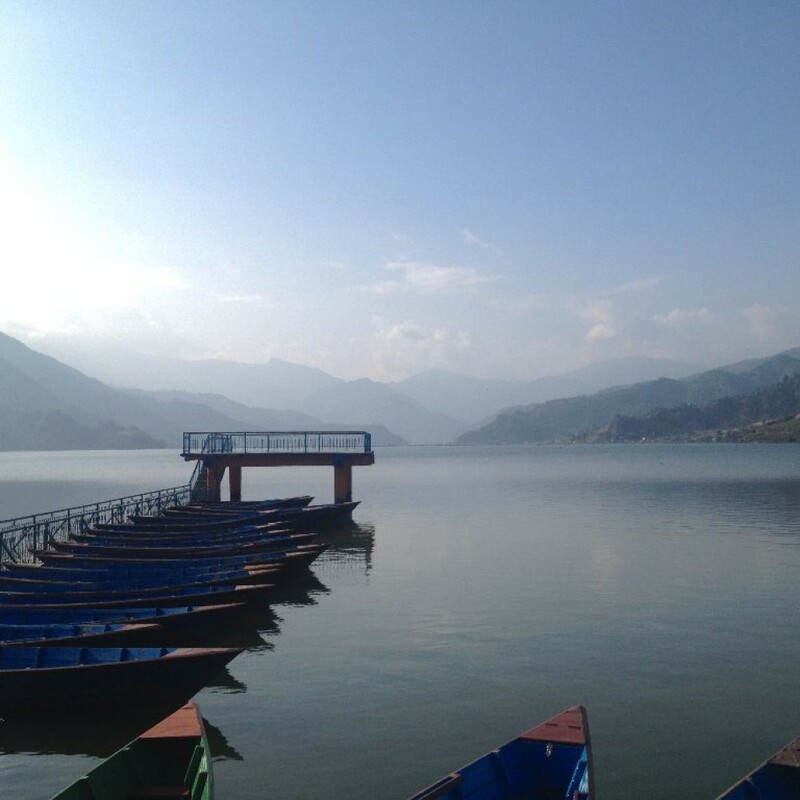 Getting to Pokhara is easy and can be an experience out of the ordinary both there and back. We decided to leave Kathmandu after our Himalayan adventure and trekking in Langtang National park. We quickly tracked down one of the cheaper places to buy tickets and decided to get moving the next day. Tickets cost somewhere between 500-700 Nepalese Rupees (approximately 5-7 USD) depending on which tour agency or hotel you book through and if you want to go by local bus or tourist bus. The bus station from Kathmmandu is located just a few minutes walk from central Thamel, which is the main tourist area, in Kathmandu. The next morning we grabbed our bags and headed of to the bus station and Pokhara. There are many buses at the same place in Thamel and they all look alike. Lots of people are moving around in this area so it is best to look at the ticket to know which bus company you are with and ask around. We quickly found our bus and were handed seats at the back of the bus and waited patiently for the bus to depart. Twenty minutes went by, thirty minutes went by and we had still not left the street yet. Although we had arrived just before departure time. After loading a few more tourists and locals we were on our way. We passed dusty roads, pack of dogs, strange shop signs and all kinds of vehicles transporting everything from people to livestock. It felt like an adventure already. We had the back row all to ourselves in the bus. Strange, we thought at first. But it didn’t take long until the back row and parts of the back of the walkway was stuffed to the ceiling with over sized, overfilled bags that fell over us making us squeeze together in a corner. This i not unusual though. Kathmandu is the main international airport and many arrive there and travel onward by bus to see their families after being abroad for work or living overseas. And they bring a lot of stuff and presents back. Good for them, we thought, trying to think positive knowing we had six more hours to spend in the bus. We had an American couple and a German guy in the rows in front of us that we talked to and they also had the adventure with over sized bags which made it all so much more fun to talk about. The roads after the Kathmandu city border are narrow with steep hills just next to them. As we passed the most narrow parts we saw tourist buses and cars that had driven of the edge. It was scary to think that that these roads would be what was waiting for us almost all the way to Pokhara. The scenery is amazing though. We passed waterfalls, valleys and rivers with river rafters coming out of the water. It is absolutely beautiful. The buses makes two major stops along the way. One for breakfast and one for lunch. Both are road stops with small eateries put there to make money from tourists. It is not over expensive and you can get anything from fried rice to veggie burgers and MoMos. After the lunch was over and we boarded the bus again we noticed something strange in the very front row of the bus. They looked like wooden boxes or crates stacked on each other. They were bees. Honey bees that were being transported by a family to either sell or relocate. Might have been one of those presents too, who knows. Ok, as long as they don’t bother anyone, we all though keeping in mind that there aren’t really any regulations in Nepal of what you can and cannot take with you on the bus. After half an hour the front rows all went for full panic. And the back rows started to turn in unease. The bee owners didn’t seem to be much bothered. They looked around. Shook the crates a bit to “calm down” the bees which actually just made it worse. The panic continued until the bus driver had it with the commotion and stopped the bus and let the bees out of the bus. The journey continued with calm travelers and some loose bees still picnicking in the bus. We finally arrived at the Pokhara bus station which is on the so called Dam side. This had been a real adventurous journey and we were all happy with being at our final destination. We were finally in Pokhara. The bus to and from Pokhara was really and adventure on its own. On our journey back from Pokhara to Kathmandu a week later we had a bag of chickens under the seat in front of us who made droppings and insisted of nibbling on our flip flops all the way to Kathmandu. The man with the chickens also had a young goat accompanying him. 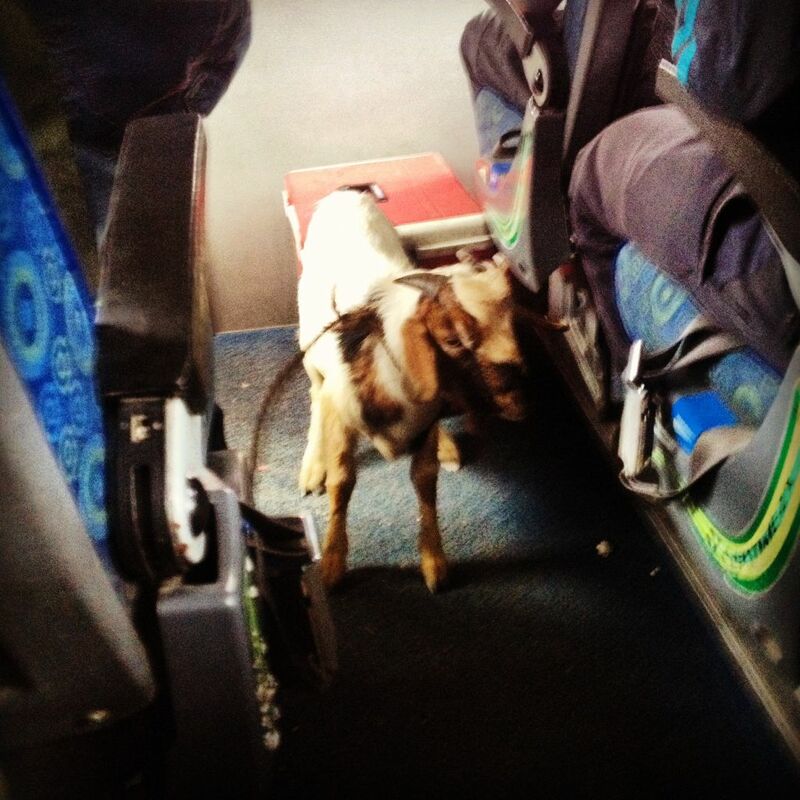 At first this goat was seated in the front of the bus. He was scared and did not like the bus ride at all. He made panic screams for a good hour. Then the staff decided to put him outside. On the roof. Yes on the roof. Not a very unusual sight in Nepal. But very unfortunate for the road sick goat. Fortunately, to every ones relief, the goat, the chickens and the bees all arrived safe at their destinations.